Service support to place newly installed systems and equipment in operation. Completion of this service by our qualified staff will ensure a safe and efficient commissioning process, meeting factory warranty and operator training requirements. We provide a cost effective rebuild service for rotary screw compressors. This service usually costs less than a factory rebuild or replacement. Shop and field rebuilds are available to save you time and unnecessary costs. A full report accompanies each rebuild detailing our findings, corrective measures, and recommendations to prevent future failures. 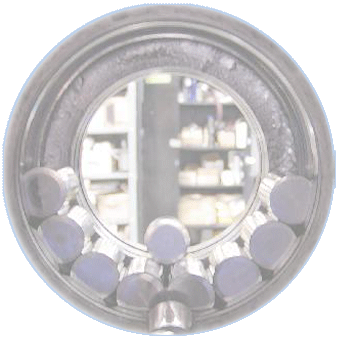 Modern Freezing Systems, Inc. uses predictive maintenance techniques to anticipate equipment failures before they happen. Our technicians use vibration and oil analysis along with other diagnostic tools to monitor equipment for changes in operation and performance. We make preventive maintenance recommendations on the basis of these tests. When we find wear or damage we provide the information you need to make cost effective decisions. each program to fit your specific needs and budget. Our experience has shown that even limited programs can minimize downtime and help avoid expensive repairs and accidents. At Modern Freezing Systems, Inc. we maintain the ability to perform a wide variety of technical services to meet the complex needs of industrial refrigeration systems. Our list of technical services ranges from simple mechanical repairs, to complex analytical services and system commissioning. Additionally, we can supply the parts and maintenance materials required by your facility. Whether you maintain your own equipment or want someone to maintain it for you, Modern Freezing Systems, Inc. can furnish the support you require.